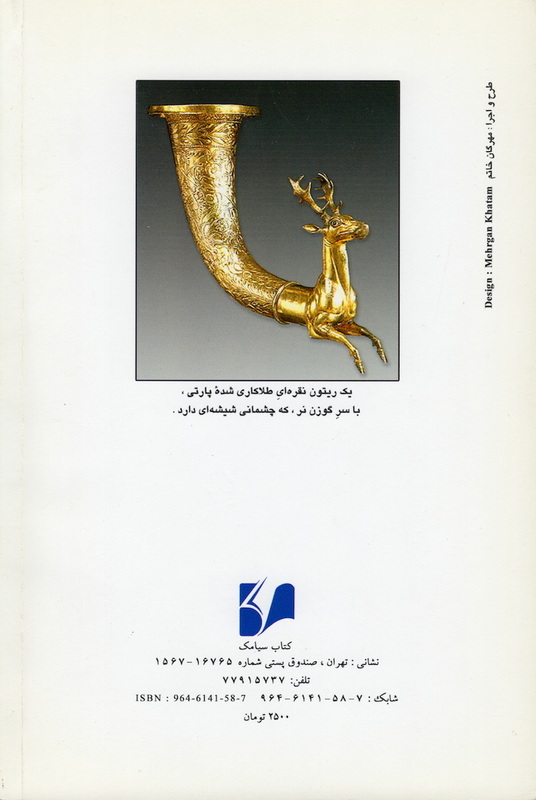 his book is a Persian translation of a seminal work by the late German scholar, Professor Klaus Schippmann (1924-2010). It is one of the very few books that covers the second Persian empire, that of the Parthian Arsacids, whose reign lasted half a millenium from the end of the Seleucids to the third Persian empire of the Sasanians, from ca. 247 BCE to 224 CE. 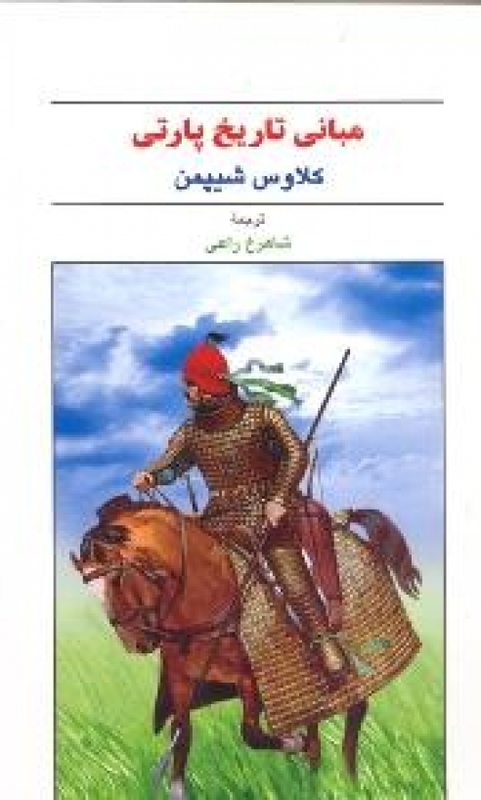 Mabānī-ye Tārīkh-e Pārtī, a translation of the book Grundzüge der Parthischen Geschichte written by Klaus Schippmann and published in 1993, translated by Shahrokh Raei in 2007. The book The Basics of the Parthian History, Grundzüge der Parthischen Geschichte in the German original, is part of the series “Grundzüge“ published by the German publishing house Wissenschaftliche Buchgesellschaft. This work presents the research results of Klaus Schippmann, the former professor of the Institute of Iranian Studies in Göttingen. Schippmann attempts to aptly depict the basics of Parthian history, despite the limitation and lack of historical sources for this period. Arguably, until the writing of Schippmann’s book, the only other text approaching the history of Parthian Iran in a similar way had been The Parthians by Malcolm A. R. Colledge and published in 1967. Compared to Colledge, Schippmann is more current, diverse and varied in many regards. At the beginning, Schippmann introduces and evaluates the available historical documents and resources. After providing some geographical background information, he supplies investigations on Parthian history, which he divides into four different chapters. These encompass the most comprehensive part of the book. Afterwards, the author goes on to illustrate the contemporary social conditions as well as the structure of the Parthian government in the following three chapters. In addition to these two main parts, he also tries to investigate, although briefly, other aspects of Parthian society like religion, economy, military and art in separate chapters. At the end of the book, a summarising chronological table offers a clearer understanding of the important and conclusive historical events of the era. In 2003 the departments of Iranian Studies and Ancient Oriental Studies at the University of Göttingen organised a ceremony in honour of professor Schippmann. During this celebration the idea of preparing a Persian translation of Grundzüge der Parthischen Geschichte was shared with him. He expressed his agreement and delight regarding this matter. One year later the translation was finished and published in Iran, which was made possible by the support of the Soudavar Memorial Foundation and the efforts of its co-founder Fatema Soudavar. Dr Shahrokh Raei is Assistant Professor of Iranian Studies at the University of Göttingen, Germany. Professor Klaus Schippmann (1924-2010) was an internationally respected expert on Iranian and South Arabian archeology and history.